Redesigned for wherever curiosity takes you. Equipped with many innovative features, All-Wheel Drive and the choice between two engines, adventure is waiting. Let’s go! The redesigned Hyundai Tucson is more than just a Sport Utility Vehicle, it’s the vehicle that’s always up for your adventures. With innovative features to keep you connected like standard Apple CarPlay™ and Android Auto™ smartphone connectivity, capable performance offered with available HTRAC™ All-Wheel Drive and the choice between two engines, adventure is waiting. Let’s go! 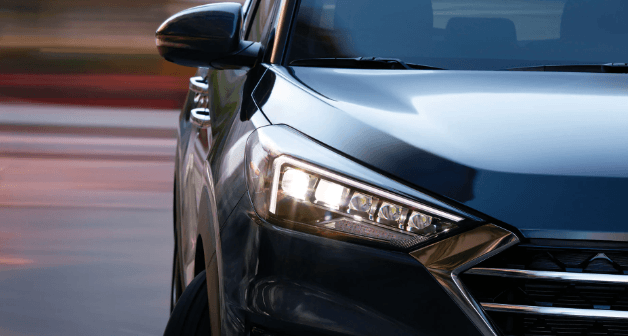 The redesigned elements of the 2019 Tucson include a bolder hexagonal front grille framed by new headlight and daytime running light designs. At the rear, you will notice a completely redesigned rear bumper with new, available LED tail lights. A stylish and energy efficient lighting system, the available LED headlights cas a significantly brighter and longer beam. 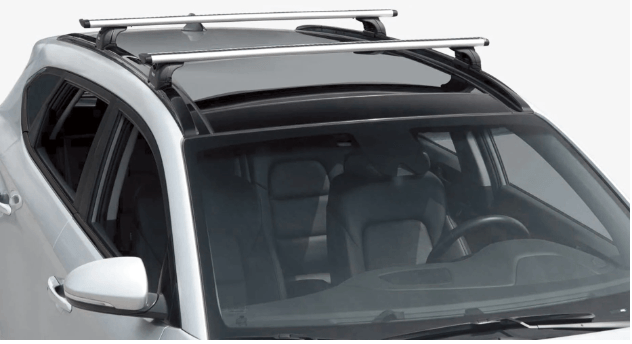 Available roof rack side rails give you added flexibility to bring the cargo you need. 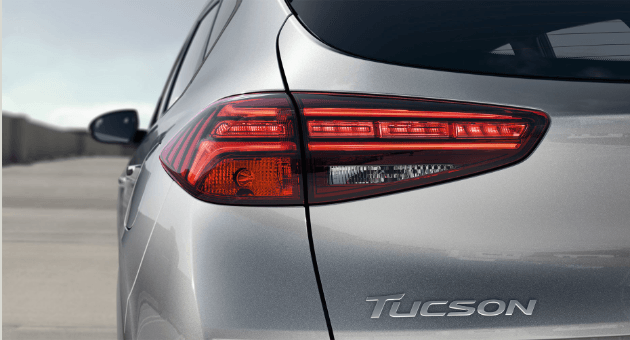 Available LED tail lights complement the bold design of the Tucson and provide increased visibility at night. The 2019 Tucson features a standard 7.0” touch-screen audio display with rearview camera, Apple CarPlay™, and Android Auto™ smartphone connectivity so you can interact with your favourite apps directly on the screen. An available 8.0” touch-screen includes all the features mentioned above, plus a fully-integrated navigation system to help get you from point A to B, search for gas stations, or even restaurants. It Includes a complementary Hyundai Map Care system which includes two updates per year for five years. to access your favourite smartphone apps via the available 7.0" touch-screen display. The available Infinity Audio System includes an external amplifier and 8 speakers strategically placed inside the cabin to provide an immersive surround sound experience for everyone. Versatile cargo space. Make good use of the 877 litres of cargo capacity available with the rear seats upright or fold them down for a total of 1,754 litres of storage. The rear seats split-fold 60/40 to accommodate passenger and longer items. The available dual-zone automatic climate control settings allow both driver and front passenger to select their own temperature settings. 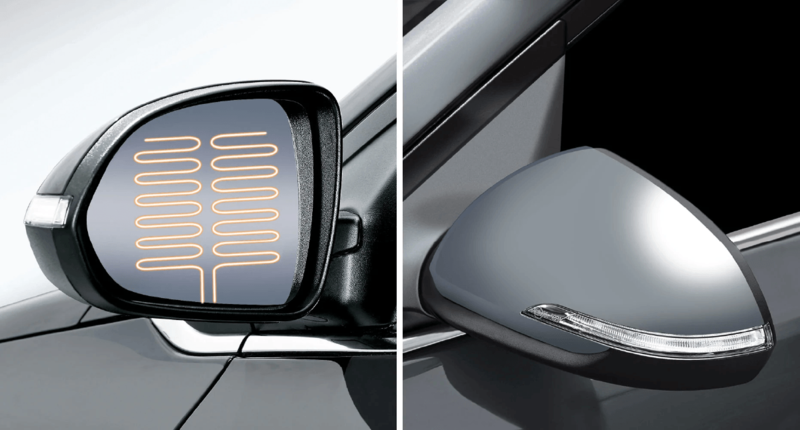 By monitoring temperature levels and controlling airflow, the cabin temperature stays exactly where you want it. Standard heated front seats and available heated rear seats offer comfort during Canada’s colder months to passengers in both the front and back. As the driver, enjoy an extra dose of comfort thanks to the available heated steering wheel that warms hands at the touch of a button. Approach your Tucson with the available proximity key in your pocket and enjoy the ultimate convenience, welcoming you by the door handle pocket lighting that will help illuminate your way once the key is sensed. The standard 2.0L Gasoline Direct Injection(GDI) engine delivers 161 horsepower, 150 lb-ft of torque, and is paired with a 6-speed automatic transmission. 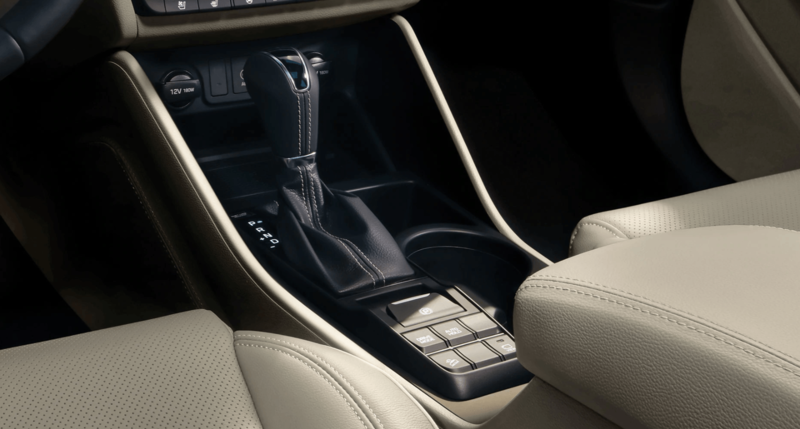 The 6-speed automatic offers Shiftronic manual shifting mode and includes an overdrive lock-up torque converter for improved fuel economy at highway speeds. An available HTRAC All-Wheel Drive system is constantly adjusting to provide optimal traction wherever your journey takes you. TThe available 2.4L Gasoline Direct Injection (GDI) 4-cylinder engine is mated with a 6-speed automatic transmission delivering 181 horsepower and 175 lb-ft of torque. Hill-start Assist Control detects inclines and helps prevent the Tucson from rolling back in the moment between brake and acceleration when driving up a steep hill, while Downhill Brake Control helps maintain a consistent speed when descending steep inclines in slippery conditions. The available Drive Mode Select feature lets you adjust both throttle response and steering effort to match your driving style. Select from two modes - normal and sport - by simply pressing a button. 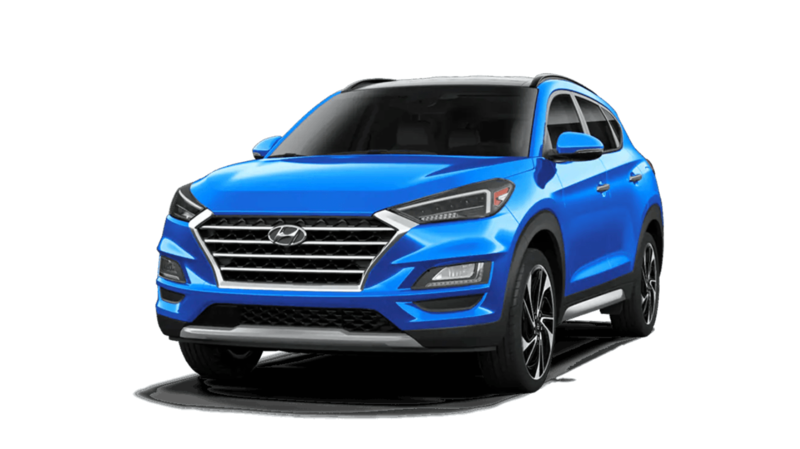 At the core of the Tucson is the SUPERSTRUCTURE™, an ultra-rigid vehicle chassis built with Hyundai’s Advanced High-Strength Steel, designed to be stronger, stiffer, and lighter than conventional steel to provide greater benefits in safety, ride comfort, and fuel economy. In the event of a collision, the SUPERSTRUCTURE™ helps protect occupants inside the cabin by absorbing harmful energy and redirecting it away from the passenger compartment. This feature is designed to detect a vehicle or pedestrian and warn the driver of a potential frontal collision. If the driver does not react to avoid impact, the system can automatically apply emergency braking. 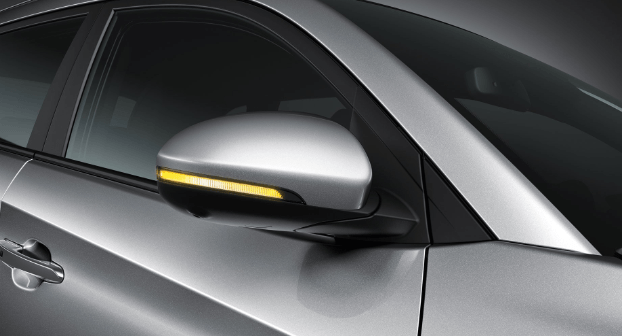 The Blind-Spot Collision Warning System lets you know if a vehicle is in your blind spot. Plus, our innovative system also senses the speed of the vehicle in the adjacent lane. If it’s approaching faster than you can safely merge, it will signal an alarm. Drift outside your lane without signalling and this system is designed to inform you with audible and visual cues. Standard Apple CarPlay™ and Android Auto™ smartphone connectivity put the apps you prefer right on the Tucson’s touch-screen display. Access maps, navigation, contact lists, texts, calls, even your music library seamlessly and safely while driving using the Tucson’s touch-screen or voice recognition. 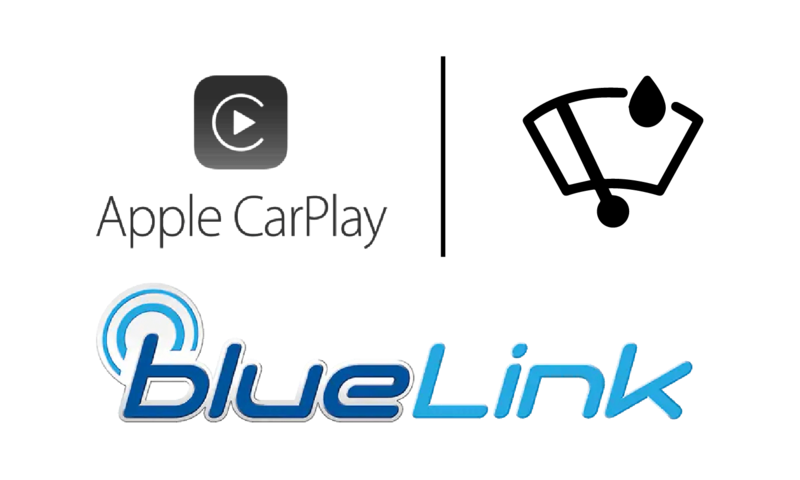 Bluelink is Hyunadai’s available connected car solution designed to simplify vehicle ownership. Access a suite of features with your smartphone or the in-car system. In the event of an accident, it can even send an automatic collision notification and request assistance. When raindrops hit the windshield, the available rain-sensing wipers are activated and will automatically adjust wiper timing based on the rate of precipitation. No need to take your hands off the wheel or your eyes off the road.